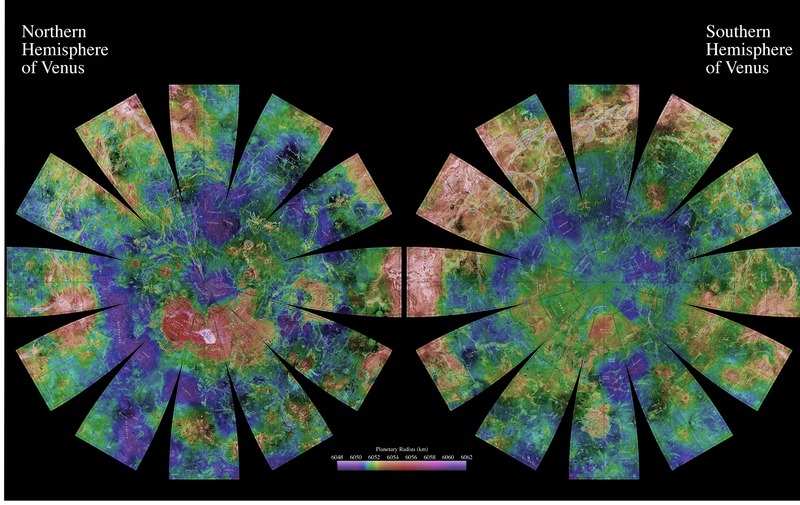 The images are presented in a projection that portrays the entire surface of Venus in a manner suitable for the production of a globe. A specialized program was used to create the "flower petal" appearance of the images; the area of each petal from 0 to 75 degrees latitude is in the Transverse Mercator projection, and the area from 75 to 90 degrees latitude is in the Lambert Azimuthal Equal-Area projection. The projections for adjacent petals overlap by 2 degrees of longitude, so that some features are shown twice. Names are approved by the International Astronomical Union.